WWF conservation experts were jubilant when they spotted a mother dolphin with her newly born baby in Kampi pool on the banks of the Mekong River in June 2016. 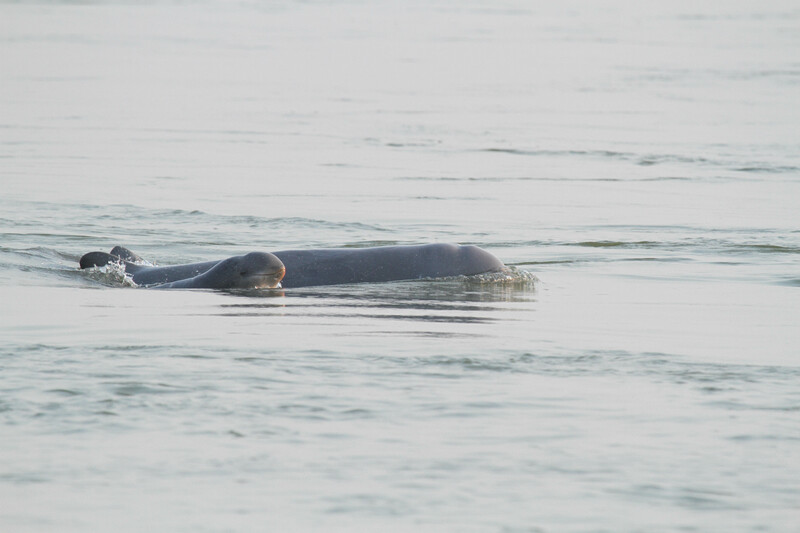 The pool, located around 15 km north of Kratie town, is home to around 20 of the last remaining 80 Irrawaddy river dolphins in Cambodia. The river dolphins are beloved icons in Cambodia and females give birth only every 2 to 3 years, so any birth creates a sensation. Massive threats jeopardize the lives of these last Cambodian freshwater dolphins. The country’s river dolphins are now concentrated in nine deep water pools over a 190 km stretch of the Mekong north of Kratie to the Laotian border. Illegal fishing using electroshock devices, poison, explosives, and nylon gill nets has increased over the last 40 years, hurting both fish populations and dolphins accidentally caught and killed as by-catch. Legal fishing with small-meshed nylon nets can also create problems for both dolphins and people, as unchecked overfishing is depleting fish stocks both depend on for food. Dams and irrigation systems destroy fish habitat and block migration to spawning grounds, further hurting fish populations. WWF is especially advocating against construction of the Don Sahong Dam in Laos, less than 2 km from the border from Cambodia and adjacent to a dolphin pool, which would block the only year-round migratory channel for fish and dolphins on that section of the Mekong. Pesticides, heavy metals, plastic particles and other contaminants from industry, agriculture, and towns can also endanger the dolphins’ lives. Combined, all these threats put the new baby at risk: dolphins are dying at a rate that puts the population’s long-term survival in danger. In 2015, WWF researchers observed a 2.4% annual mortality rate among adult dolphins. For the long-term survival of small populations, the mortality rate should not be higher than 1 – 2%. WWF-Cambodia is working with communities and the Cambodian government to protect the dolphins. WWF worked with villagers to establish 10 community fish conservation zones in 10 villages across 4 communes in Sambour district, Kratie province. Fishing in these areas, usually key spawning grounds, is forbidden to minimize overfishing and give fish stocks a chance to recover – benefitting both dolphins and fishermen. WWF also supported the creation of many new sign posts on swimming rafts around the dolphin pools, making it clear that fishing in and around the dolphin pools is strictly prohibited by law. To enforce these laws, WWF and the Cambodian Fisheries Administration support 68 river guards based in 16 outposts in both Kratie and Stung Treng provinces. The river guards, mostly local villagers, regularly patrol the core dolphin habitat and buffer zones to stop illegal fishing. 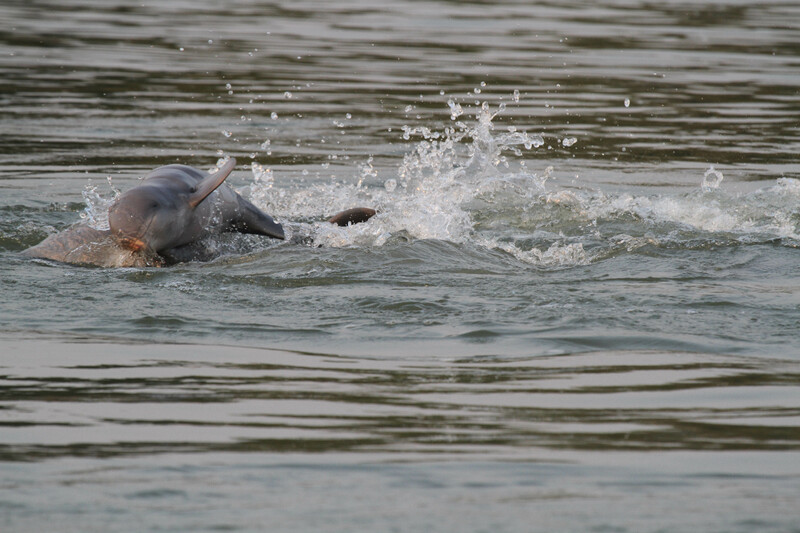 WWF provides equipment and expert trainings to help them conserve the Mekong dolphins. Finally, WWF conducts conservation outreach programs in schools and villages, holds community meetings and workshops, and helps promote sustainable tourism in the region. 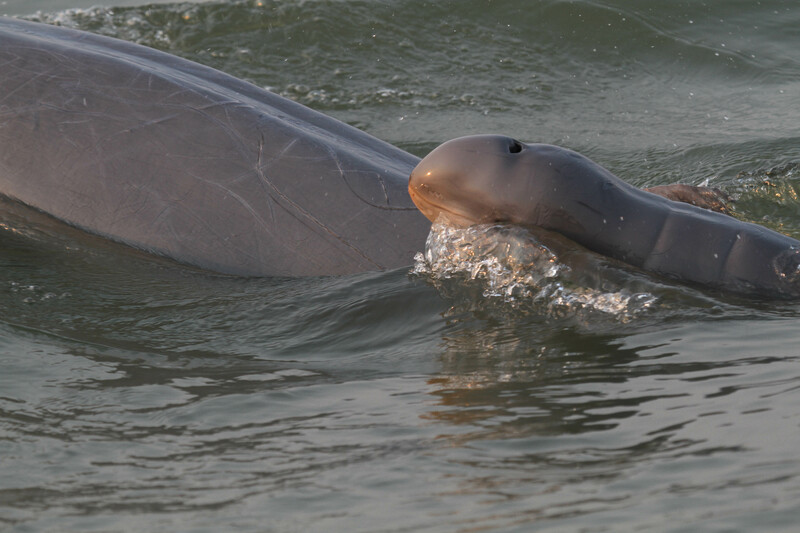 Tourists can help give the new dolphin baby a chance by visiting the eco-tourism project in Kratie – dolphin sighting is almost guaranteed for tourists visiting the province and it’s not far away from Cambodia‘s capital, Phnom Penh. WWF researchers spotted a new baby Irrawaddy dolphin in Cambodia in June 2016.